Reference number for this case: 24-April-54-La-Jarrie. Thank you for including this reference number in any correspondence with me regarding this case. A German UFO sightings database lists that on April 24, 1954, there was a sighting in La Jarrie - written "La Jarie". Not looked for yet. totally insufficient information. There is no "La Jarie" as indicated in [ub1]. 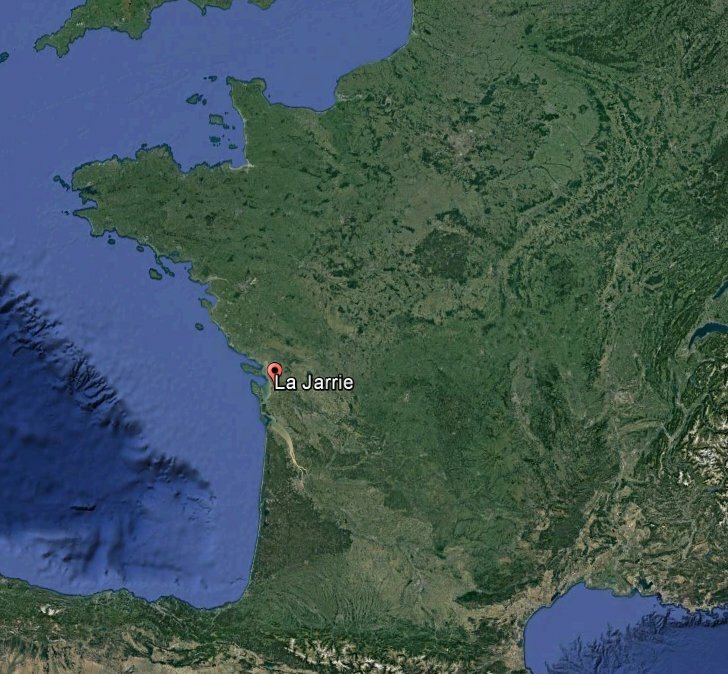 I assumed it is "La Jarrie" in the Charente-Maritime department, but there is no certainty about that. 1.0 Patrick Gross November 3, 2016 First published.